Mandy Shaw does it again with this stunning little trio. 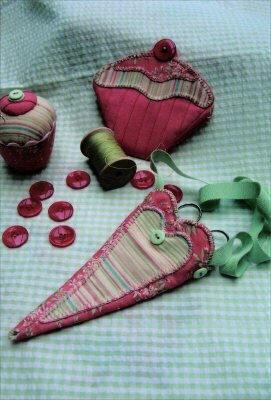 She has cleverly designed a pincushion and needlecase to resemble cup cakes which are all the rage this year. Top it off with a lovely scissor keeper too!